The Avenue of Honour comprises of ten Monterey Cypresses (Cupressus macrocarpa) that line both sides of the Hamilton Highway (Brown Street) Caramut, in the vicinity of the local RSL Hall. The trees were probably planted in the 1920s in memory of those who served in World War One. 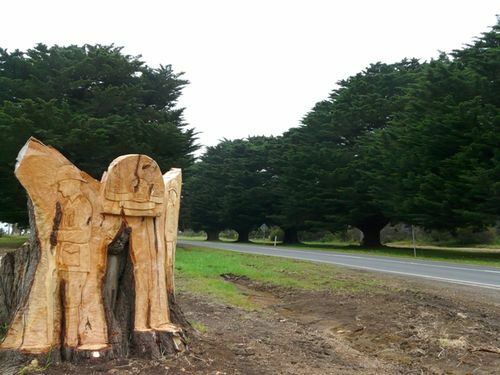 A stump from a fallen tree in the Avenue of Honour has been carved into a war memorial.